I love painting nests! 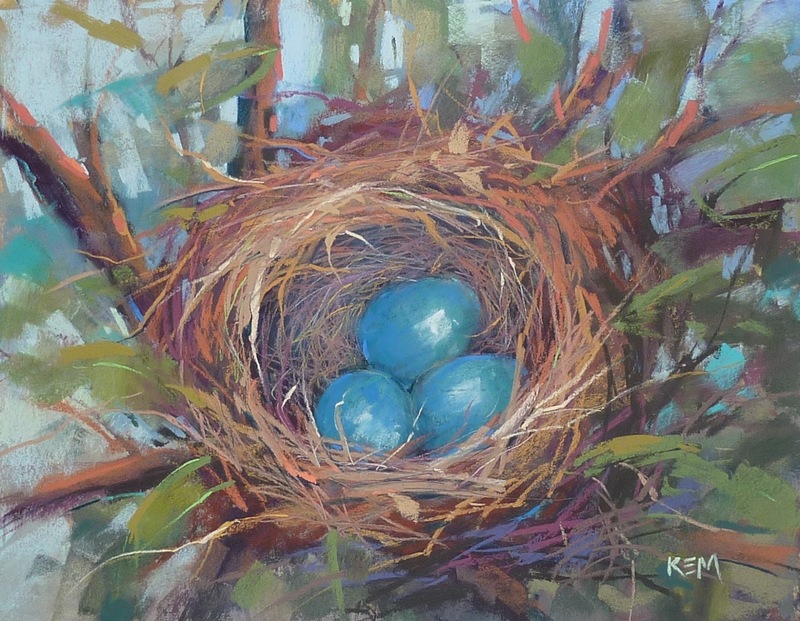 Every year when spring rolls around I get the itch to paint a nest! We were lucky last year to have several birds nesting in our yard so I got some new reference photos. One of the things I love about painting nests with pastels is that I get to be a bird. Yes that is what I said! I get to think like a bird. 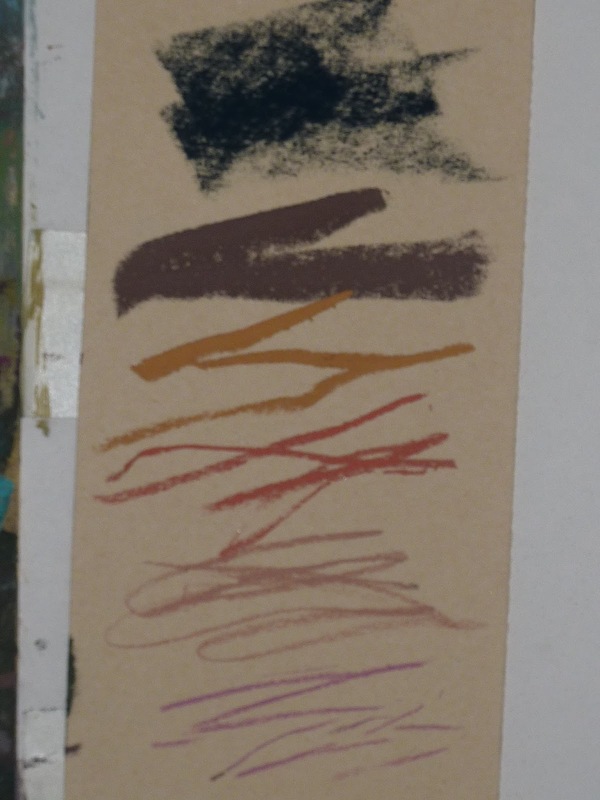 I use my pastels to lay the foundation for the nest. 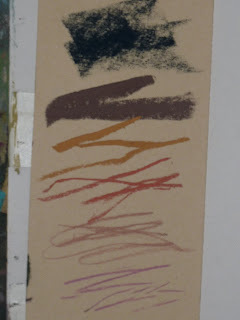 And then I slowly and carefully build the layers weaving colors with linear marks. Some thick. Some thin. Around and around I go weaving the ends of straw. Tucking in bits here and there. My marks are gradually getting finer and tighter making a soft and strong home for the eggs. I will be working on more nests this week including preparing a video demo and a step by step photo demo for my Patreon page. 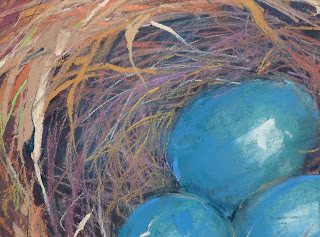 There is much to be learned from painting a nest!